Today marks 18 days since prison escapees Pati Chong Nee and Aniseko Vaelei dashed for freedom from the Tafa’igata Prison. And they continue to leave a trail of destruction in their path as they play a cat-and-mouse game with the Ministry of Police – a Moamoa shop missing hundreds of tala worth of goods, and an expatriate lecturer at the University of South Pacific (USP) Staff Compound and his family being robbed of their personal effects. CCTV footage of the two prisoners – who have both been convicted on charges of burglary, robbery and armed with a dangerous weapon – showed the duo armed with machetes, when they broke into Noah’s Store in Moamoa in the early hours of Monday morning. The Police Commissioner, Fuiavaili’ili Egon Keil, told reporters on Wednesday that the Police are doing the best they can to find them. “We are being very proactive in looking for these two escapees, as you saw on our Samoa Police Service website that these two are still outstanding. “Our aim is to get these two in our custody as soon as possible; we are working in close collaboration with the Prisons as well through the prison guards,” he said to reporters. 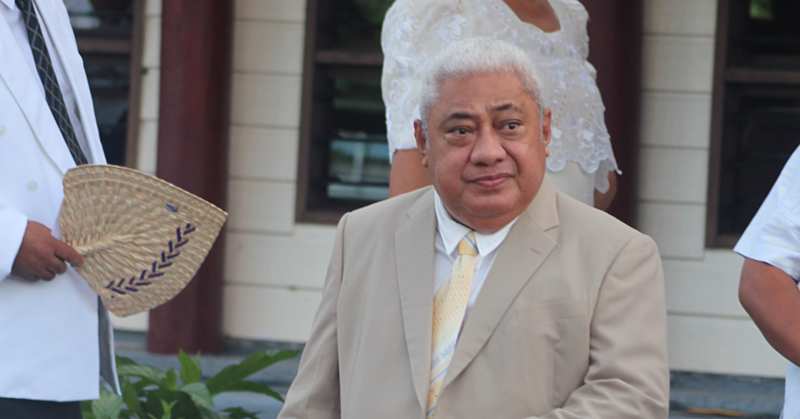 Even Tialavea Tionisio Hunt, the Minister of Prisons and Correctional Services, revealed in a separate interview with the Samoa Observer that lax security at the Tafaigata Prison and the failure by the guards to comply with official policy led to the prison break by the two convicted criminals. “There are laws but the guards did not follow that on that day, which made them run away,” Tialavea said in the interview. “Prison guards think everything is okay, and think nothing will happen, that prisoners go to church every Sunday and they return. The public will appreciate the honesty from the Minister of Prisons and Correctional Services, and his revelations of the error in judgment by the guards that led to the prisoners’ escape. Not forgetting the assurance from the Police Commissioner, on his men and women doing their best to locate the two escapees. But what more can residents in Moamoa, Aleisa, Tapatapao, Siusega and Vaitele do to secure their homes and properties when the convicts are simply picking out their targets at will and casually walking into properties under the cover of darkness? And how much more trust and confidence can the public have in the ability of the Ministry of Prisons & Correctional Services and the Ministry of Police to do their job with diligence and efficiency when the two convicts are serial escapees and have a history of wantonly getting out of jail? Coincidentally, close to six years ago, there was anxiety within the community with bank robber Nazario Chong Nee and fraudster Punaotala Sakai on the run from the authorities after they also escaped from jail. But then Commissioner of Police, Lilomaiava Fou Taialo, reportedly decided that sustained media attention – working in partnership with local media organisations – will embarrass the families of the criminals and compel them to work with the community and the Police to get the criminals to turn themselves in July 2013. Lilomaiava believed the strategy worked back then when Nazario Chong Nee and Punaotala Sakai reportedly called the Police together and surrendered. Fast forward to 2019, Lilomaiava’s successor Fuiavaili’ili has opted to stick to the Samoa Police Service Facebook page to spontaneously reach out to the community, overlooking the fact that social media has its shortcomings – when trying to effect Community Policing in a nation where tradition and culture are still very much alive. That is Community Policing – where the Police focuses on building ties and working closely with the community to tackle crime – should be thriving in a country like Samoa. While increasing internet connectivity and cheap mobile phone accessibility is enabling a lot of Samoans to go online and thereby use social media, the revolving of Samoan society around Fa’a Samoa – whereby family is considered significant, and respect of elders and service to family is paramount– makes frequent one-on-one interaction between agents of Government and the people (represented by the media) absolutely important. 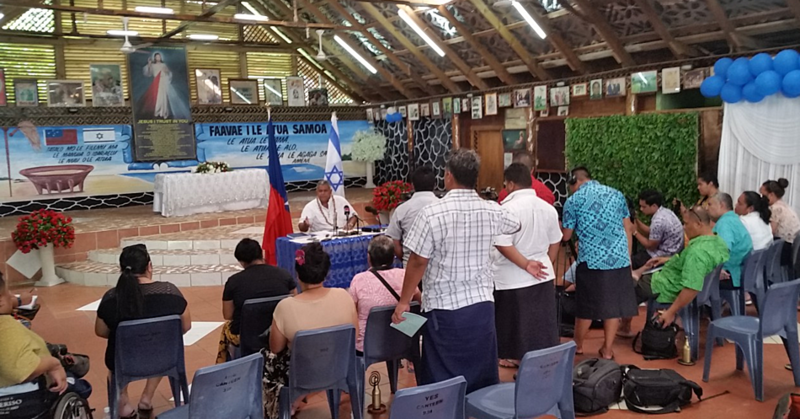 While the current Police Commissioner gives a lot of prominence to social media (through their Facebook page), one-on-one interaction with the media – through weekly press briefings – would be more culturally appropriate in Samoa. It is perhaps time for Fuiavaili’ili to take a leaf out of his predecessor’s book. It has been 18 days – close to three weeks – since Pati Chong Nee and Aniseko Vaelei escaped from the Tafaigata Prison. The law abiding citizens of Samoa deserve better from Government agencies, that are charged with the responsibility to keep them safe on a daily basis. If law enforcement policies – such as the Police Communication Strategy – currently in place at the Samoa Police Service are failing to get the desired outcomes, then replace them and create new ones that will work for the betterment of the community. In saying that, we look forward to the first weekly press conference of the Police Commissioner – to update Samoans on the progress of his officers’ efforts to round up Pati Chong Nee and Aniseko Vaelei – so that citizens know and acknowledge that the machinery of Government continues to work for the betterment of the people and the community that they live in. Together we can achieve more.